Lake Winnisquam Real Estate at its best.. Step into this home and you'll be captivated by the views. There's floor to ceiling windows, fireplace surrounded by built-ins and a gourmet kitchen. First level four season porch is perfect for year round use and leads to a lovely waterfront with perennial gardens. The second level master bedroom opens to a spacious and private deck. Lower level has additional bedrooms and family room. Lot is level and location is convenient. It is a wonderful 8 room, 3 bedroom, 4 bathroom home located on a .16 acre lot. Listed by Coldwell Banker RB/Laconia. 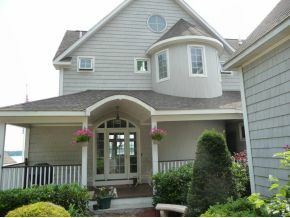 This Lake Winnisquam waterfront home has 60 feet of lakefront with plenty of room to dock your boat. For additional information on this home call Lady of the Lake Realty at 1-888-737-5550 or e-mail at info@nhlakesrealty.com or visit our website at www.nhlakesrealty.com or www.lakeorskirealestate.com Contact us today! 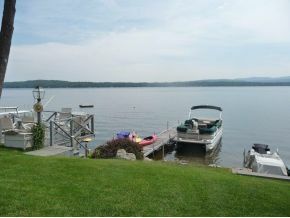 Your own Winnisquam waterfront to park your boat and view the MountainsMore than you can ask for in a waterfront home!